I'm sure you've heard how good it is for our kids' mental and physical health to get some physical activity every day. In our increasingly tech-based world, it seems that simple outdoor play is going by the wayside, in favor of building forts and waging battles on a small (or large) screens instead of at the local park. While my kids are both very tech-savvy, they also enjoy being outside. Until it starts getting dark earlier, I have to drag them in at night to take showers and get ready for bed and school the next day. They shoot hoops, play catch together, hold soccer matches or mini football skirmishes in our backyard. Not to mention countless bike and scooter rides. I'm always on the lookout for fun things they can do outdoors. We've had corn hole, badminton and various forms of paddle ball going out there. 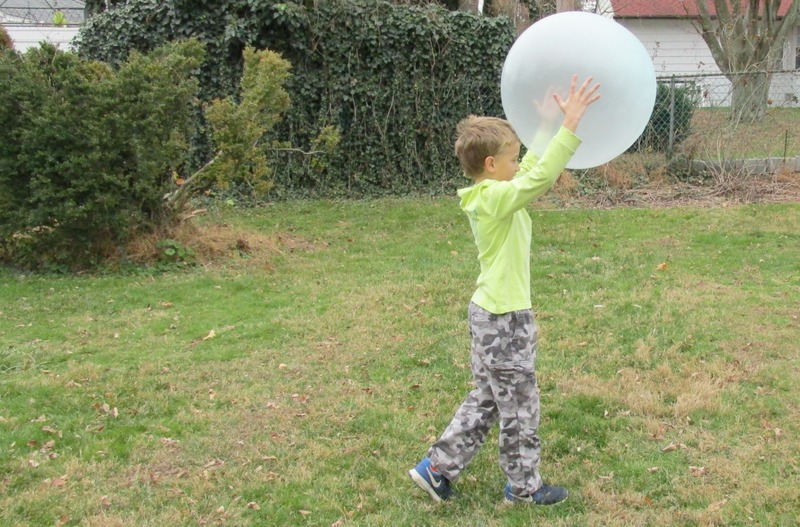 Their latest request was a Wubble Ball, so when I had a sponsored post opportunity, I agreed to give them a try and post our thoughts. 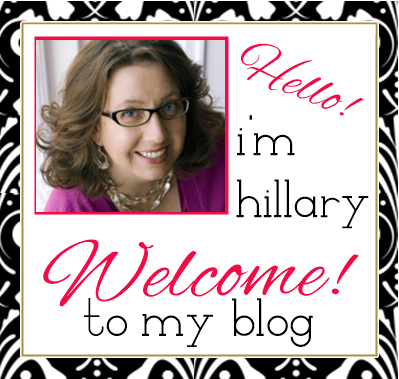 I'm going to admit up front, when there's a pump or a can of helium involved, I'm intimidated. I'm much more a buy a ball that all ready to play with, but that's missing the magic that makes Wubble, Wubble. We received a WubbleX and a GloWubble to try out. What's a Wubble Ball? The easy explanation is that it's half bubble and half ball. According to the website, it looks like a bubble…and moves like a bubble—but won’t pop like a bubble! You can kick it, whack it, throw it, bounce it—and even sit on it! 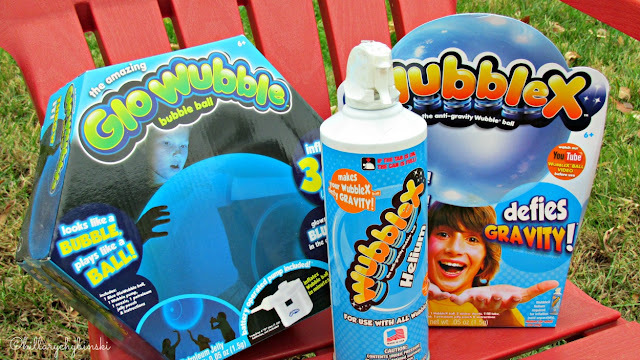 The Wubble floats, wobbles, dribbles, spins, smashes—and makes really WACKY SOUNDS. Let's see what happens . . . The Wubble-X uses a canister of Helium to inflate, so be sure a grown-up helps. 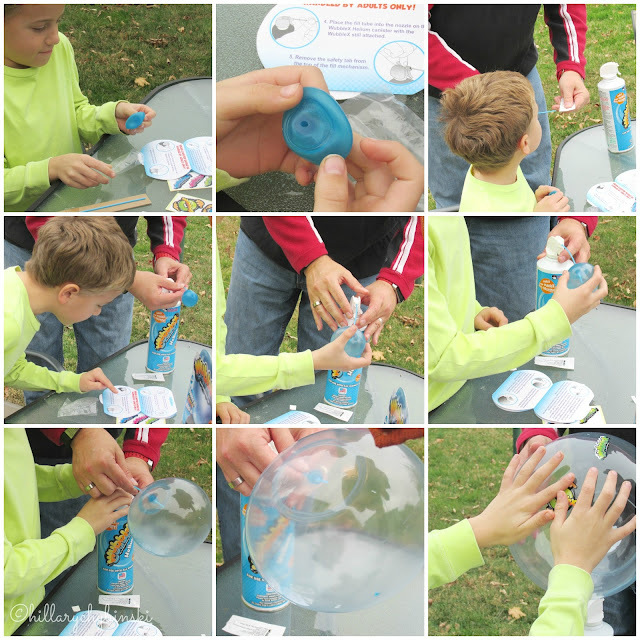 My 9 year old read through the directions and they had the Wubble-X inflated, stickered and bouncing in no time. This is super fun. It's a little like a Balloon on steroids. Owen liked to put on the stickers. We found that the stickers helped it to not float away and we played with it outside. Remember that you're using helium, so there's a change it will float away outside. The GloWubble uses a battery powered pump to inflate to three feet. We found this one to be a bit more cumbersome, and our GloWubble inflated unevenly at first, giving it a lopsided appearance. 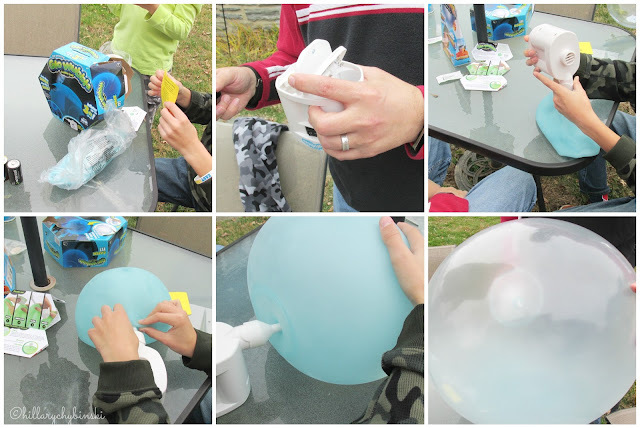 One trick we learned is to make sure the nozzle is in the GloWubble far enough, or it won't inflate properly. The GloWubble is a thicker material, and a little tougher feeling, but it made me a nervous wreck watching them tug and pull on it. It was perfectly fine, and with a little manuevering, we were able to get it blown up, and man is it fun! 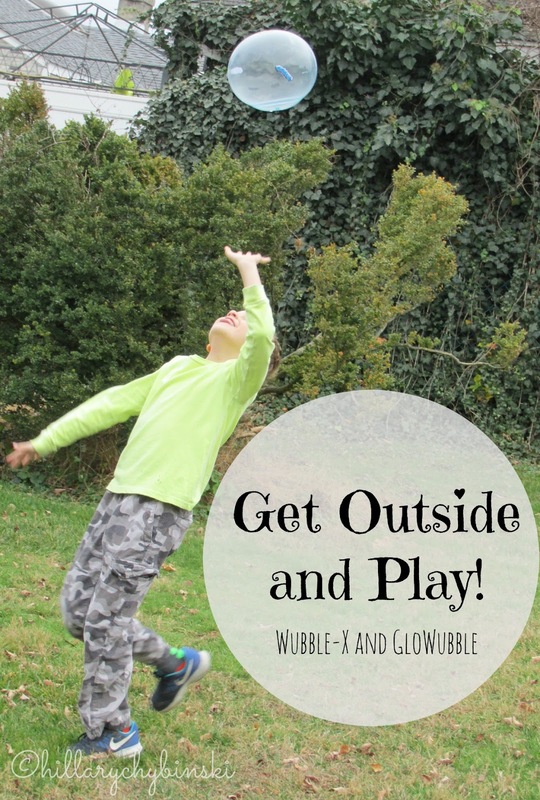 So there are our thoughts on the Wubble-X and the GloWubble. We had a great time playing around with them and being outside. Truth be told, I think the grown-ups had as much fun as the kids! 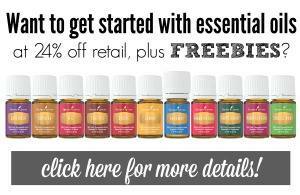 This is definitely a great activity to keep in your own toy box and also to give as a gift. This is a sponsored post, and while I was compensated for my time and received a Wubble-A and a GloWubble, all opinions are, as always my own and those of my kids and family.